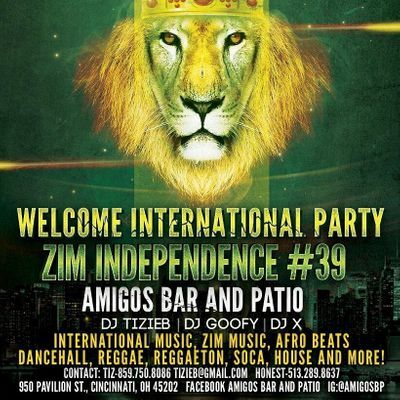 We are excited to introduce to you the First Annual Zim Independence Weekend Experience in Cincinnati OH. This has been a long time coming and we are ready to deliver an experience to remember. A 3 day weekend full of activities, food, music and fun. On this day, Friday 4/19/19 we will be having the Welcome International Party, the first party of 3 to kick off the weekend. NO COVER but reserved ticketing because of capacity. 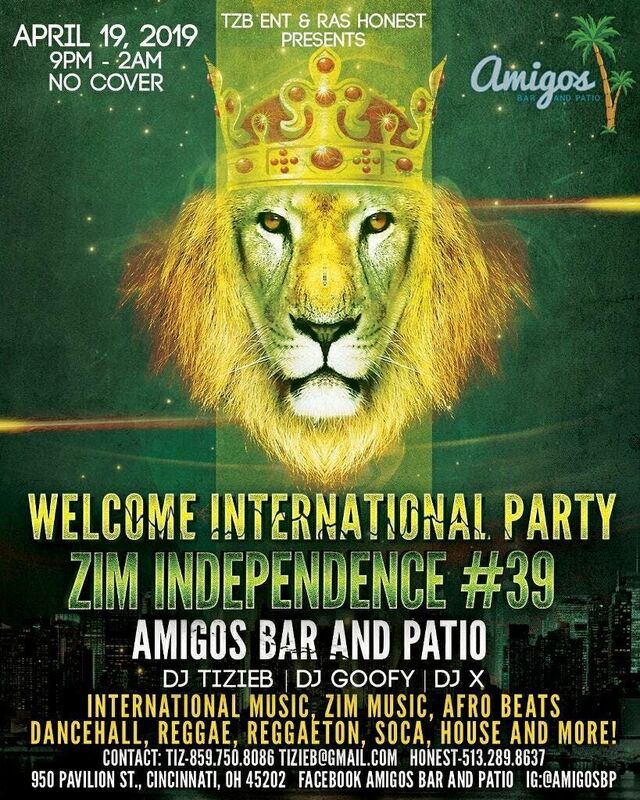 An International musical experience with a Dj sets from Dj TizieB, Dj X and Dj Goofy. You'll expect to hear Zim music, Southern African House music, Afro Beats, Reggae, Dancehall, Reggaeton, Soca, Rhumba and more. Dress to impress and dance the night away.